Become part of Europe's most innovative nutrition brand. THE PROTEIN WORKS™ has been dubbed “Europe’s Most Innovative Sports Nutrition Brand” by the fitness and mainstream media. Setting a new standard for the nutrition industry, TPW™ has an extensive range of premium grade supplements available at incredible price points. 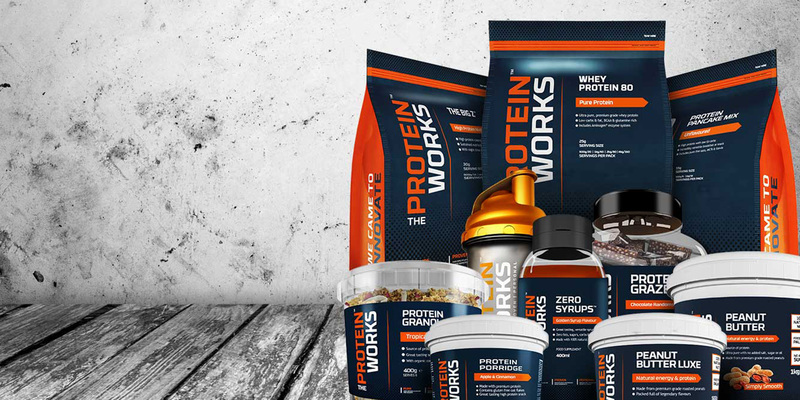 While we are primarily focused online as a brand, we have received a lot of enquiries from trade customers interested in stocking THE PROTEIN WORKS™. From this feedback we have created The Protein Works™ Trade Program. Statistics show the sports nutrition industry is huge, and it’s only getting bigger! To give you an idea of its sheer potential, Market intelligence firm Euromonitor International claim it will continue to grow with a Compound Annual Growth Rate (CAGR) of 9% in constant value terms during the forecast period 2013-2018 to reach value sales of £471 million in the UK alone. What’s more, according to the sports industry media, TPW™ is at the very forefront of this growth. Taking online by storm, we’re now doing the same with retail by working with gyms, sports clubs, retailers, nutrition distributors and health food wholesalers to bring premium sports nutrition to a wider audience. Everyone who joins the TPW™ Trade Program will be partnering with a marketing leading brand who's level of service, product quality and trade terms are unlike anything ever seen in the industry before. Premium Grade Quality - We are very selective about the suppliers we work with and TPW™ accredited suppliers must pass rigorous quality tests before we will use their raw ingredients in any of our products. As a result, each product in our range contains only the finest quality ingredients. Similarly, we never use thickeners or fillers in any of our supplements to improve their taste, texture or bulk out the product with cheap ingredients that do nothing to help you achieve your goals. Lastly, unlike nearly all other sports nutrition brands in the market today, THE PROTEIN WORKS™ supplements are produced in-house in our own manufacturing facility. This means we can produce pretty much to order so our stocks remain fresh and potent. 100% TPW™ Flavours - You may well not be aware whether the protein shake you're drinking contains artificial colours and flavours or not. The chances are it does because most protein shakes on the market today contain artificial colours and flavours. First and foremost, they are cheaper to produce so this mean more profit for the supplier. At TPW™, we only use premium flavours and colours in all our products. It just tastes so much better and with constant protein supplement consumption, we know from experience you really do have to love the taste of your protein shake. Cutting-Edge Innovation - Dubbed “Europe’s most innovative sports nutrition brand” by the sport and fitness media THE PROTEIN WORKS™ development team is solely responsible for some of the most exciting innovations to occur in the sector in recent times. From bringing all premium flavours and colours to the UK market to producing Europe’s first natural whey protein and 100% whey isolate flapjack. We even pioneered a first for the Premier League with Everton by producing English football’s first bespoke recovery formula for post-match and post-training. No.1 Rated Protein Brand - We are rated the number one sports nutrition brand on Trust Pilot and the 100,000 strong TPW™ Community provide daily feedback upon which we depend. We guarantee you won't find better anywhere in Europe, or your money back! Over 1000 Products Online - Not only do we have one of the most comprehensive ranges of products in Europe but equally each and every one is manufactured, packed and shipped out direct to you in most cases in a matter of days. This means the freshness and potency of every TPW™ is maximised which means optimal results for you. In addition, all our powder products are packed in air tight, foil-fresh re-sealable pouches to ensure the freshness remains locked inside. If you have a business that you think could benefit from stocking the TPW™ brand, then please get in touch. We can offer exceptionally high quality products with premium flavours that are unparalleled in terms of taste and texture on the market today. We can also guarantee a first class service and a level of brand credibility which will ensure strong sales and repeat business. What’s more, our price points create a highly attractive proposition for consumers that will see you achieve high performing sales volumes over both the short and long term. Please remember to choose the "Trade & Commercial" option from the dropdown menu. Thank you.